Released by Betsoft in 2010, Gold Diggers slot is a 5-reel 30-pay-line slots machine. Gold Diggers video slot has stunning 3D animation, amazing audio and video experience using the best possible technology in the industry. The game ensures a high level of entertainment offering a full gaming package with impressive symbols. This online slot game also includes 3 fun bonus features and a maximum jackpot payout of 2.500 coins. 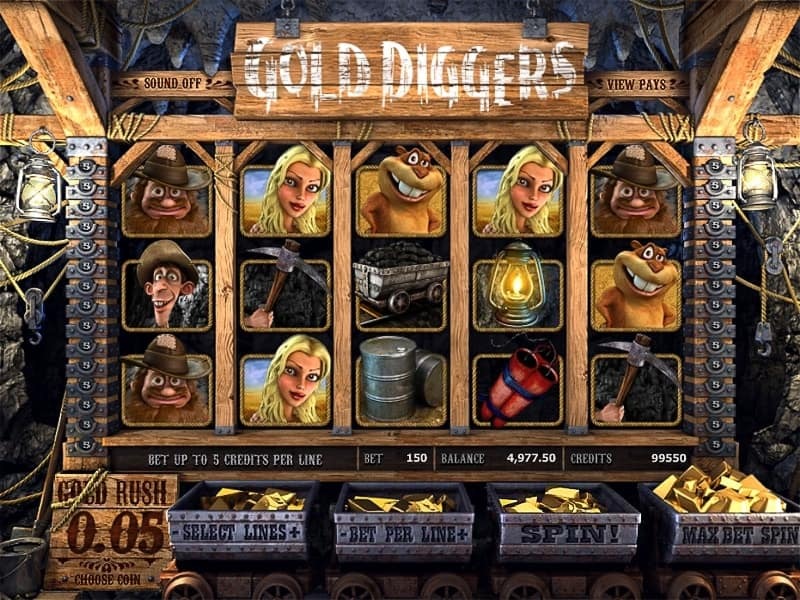 The Gold Diggers slot theme is present on the 9 richly-animated reels. This online casino game is dedicated to the Gold Rush of the 19th century. The themed slot reels include Dynamite, Lamp, Coal Hopper, Oil Drum, Gopher, Pick Axe, The Girl, Gold Rush Banner and of course the 2 brothers. 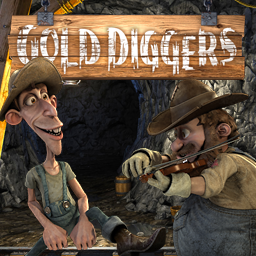 The 2 gold miners brothers are the center of the game play in Gold Diggers slots game. Your goal is to help these miners go down in the goldmines and search for the fortune and make yourself immensely rich. But wait, who’s that pretty girl and what she’s doing here? Oh yeah, she’s the 20th century “gold digger”, waiting for you to get rich and try to win your heart in order to become wealthy herself. You can choose from a coin denomination ranging from 0.02 to 1.00 with the betting stake starting 1 and going up to 5 coins per payline making the game suitable for all levels of gamblers. Three Gopher symbols landed on the reels trigger the Click Me Bonus Feature in Gold Diggers slot. Your objective is to choose one of the 3 Gopher symbols to reveal an instant cash prize. When you manage to land three or more Dynamite symbols in a winning combination on an active payline you will receive a real blast. The Dynamite symbols will explode allowing additional symbols to fall onto the reels and a cascade-effect will come into play offering you the chance to activate new winning combinations. The 3rd bonus feature triggers when 3 Gold Rush Banner symbols appear anywhere in the view during the spin. You are asked to help the Gold Digger locate where to dig and find the big treasure. 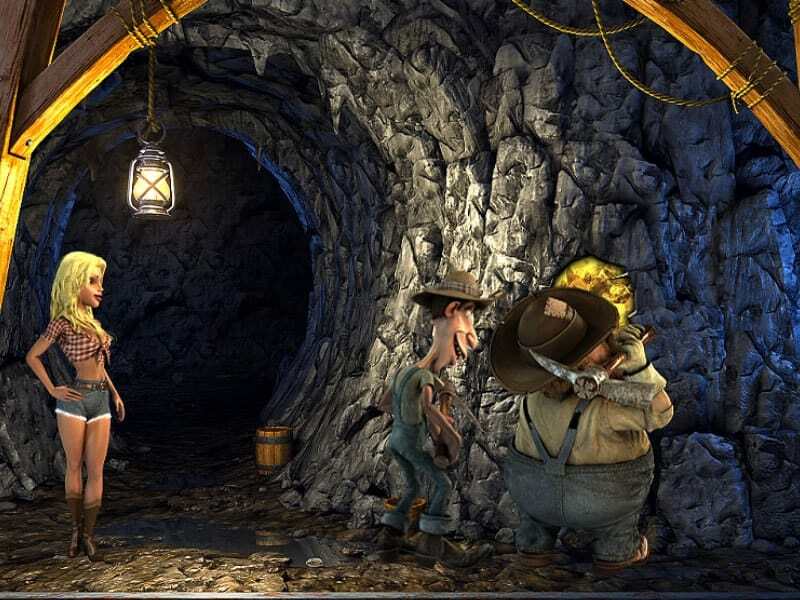 In summary, Betsoft’s Gold Diggers Slot game is fun and entertaining. We really enjoyed the bonus round features in this online slots machine. Casinos Online Review recommends you dive into this gold rush themed slot and take your turn at finding gold for yourself. Play Gold Diggers and other free slots in our casino GAMES ROOM. To play casino games for real money, visit one of the approved Betsoft Casinos below.